A report from a noteworthy insider said on Wednesday that the Galaxy S9 and Galaxy S9+ will be nearly identical to their predecessors when it comes to the design. However, it also highlighted one unexpected detail about the upcoming pair of high-end Galaxy phones. The Galaxy S9+ and the Galaxy S9 will not offer the same set of features, something that will annoy some of the loyal fans out there. The report also seems to suggest Samsung needed more than a year to replicate Apple’s recent success and strategy, and may further fall behind its biggest rival. The iPhone is still a major source of inspiration for Samsung, and while Galaxy phones may debut some features before Apple incorporates them into its flagship device, it’s always Samsung that’s expected to follow Apple’s lead. And Samsung usually delivers. After tweeting that the Galaxy S9 and Galaxy S9+ will be itteratie upgrades, Evan Blass shared more details on VentureBeat about the two phones, including the unexpected revelation that the Galaxy S9+ will have a dual lens camera on the back and more RAM, while the Galaxy S9 will only get a single lens cam. That’s what Apple did with the iPhone 7 last year, equipping the supersized smartphone with a dual camera and extra RAM to handle the Portrait Mode functionality. 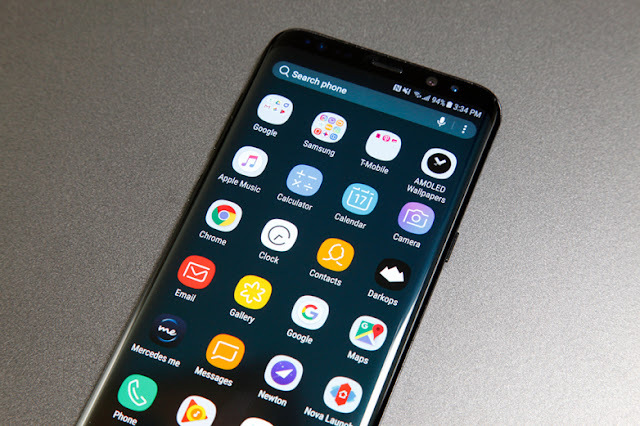 Samsung was not able to add a dual lens camera to the Galaxy S8, even though it tried to do it, and only introduced one such camera setup with the Galaxy Note 8 that launched almost a year after the iPhone 7 Plus. From the looks of it, equipping a dual cam on the Galaxy S9 might still be a pretty challenging endeavor. Either that, or Samsung is looking to raise the average selling price of the Galaxy S line by restricting some features to the bigger model. The Galaxy S9’s dual cam will be available some 18 months after Apple launched its own dual camera handset. But since then, Apple found a way to equip a dual camera on a smartphone about as big as the iPhone 7. And the iPhone X brings several other novel features, like an incredibly fast processor that has no rival in the Android world, and a facial recognition system that uses 3D technology to offer security that trumps Touch ID. These are features that won’t be available on a Galaxy phone for some time to come. Recent leaks suggested the Galaxy S9’s chips won’t be able to match the power of the A11 Bionic. As for a Face ID equivalent from Samsung, you should not expect one on the Galaxy S9, reports said. Samsung may equip 3D sensors on other 2018 handsets, with the Galaxy Note 9 being a likely candidate. Finally, what’s also interesting is that Samsung will stick with 3.5mm headphone jacks for at least one more year. By now, it should be fairly safe to ditch the aging jack without having to face too much backlash. Keeping the port may also be an indication that Samsung’s AirPods aren’t ready for mass consumption just yet. The norm seems to be that if you do plan to murder the 3.5mm jack, the least you could do is launch wireless headphones of your own. That doesn’t mean the Galaxy S9 will not be a compelling device, or that it should be ignored because it’s a minor upgrade over the Galaxy S8. That’s hardly the point. But these early reports seem to indicate that Samsung is having a harder time “copying” the iPhone than before, and some of the things you see on a brand new iPhone won’t be available almost immediately on the next Galaxy S model. And yes, Samsung could very well refrain from replicating iPhone features every year. It’s just that many customers may expect Samsung phones to do everything an iPhone can, and perhaps even more.